Patricia Smith Wood’s second book in the Harrie McKinsey series picks up three years after the events in the first, The Easter Egg Murder. During the elapsed time, editor Harrie McKinsey has married an FBI agent, giving her a natural connection with law enforcement. Wood’s blend of detective work by police, FBI, and a believable amateur works well again. I say a believable amateur because while Harrie handles the stress of the situation with courage, she is affected by it in the way one would expect a non-professional to be. Harrie’s intuitive dreams play a smaller role in this book, but remain part of her motivation to ask questions about a murder. 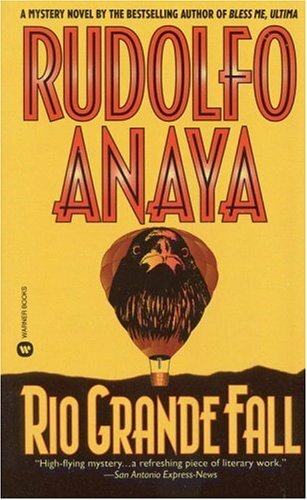 The crimes in this book revolve around an important place that may not immediately come to mind when people think of New Mexico—Sandia National Laboratories. The attempted sale of government secrets from this research facility in the Albuquerque area and the murder of a Sandia Labs employee are the central mysteries. Alongside these runs the question of what will become of the blood-stained toddler who shows up in Harrie’s flowerbed the morning of the murder. The suspense is strong and Harrie is often in danger, but there is little violence onstage. The bloodiest event has already taken place when the story begins. A reader could start with this book and go back to the first without feeling the sequence was a problem, aside from the minor issue of a lack of physical descriptions of some of the returning characters. The relationships are established clearly without an excess of backstory. Wood manages a large cast of characters in complex scenes remarkably well—not an easy feat—as well as the interactions of multiple investigative agencies. She delivers a satisfying string of revelation scenes toward the end, none of which is the conventional confrontation-confession. Once I finally found out whodunit, I realized that the clues were there, but that I’d been sidetracked by all the other possibilities. Readers who like to give their brains a workout trying to solve a mystery will enjoy this. It’s tight, precise, and effectively paced, with every chapter turning the plot through yet another unexpected twist. A new character I found particularly strong and engaging is Sgt. Cabrini Paiz of the Albuquerque Police Department. She deserves her own series, or could share the lead in this one, should the author be so inclined. There are precedents for this sort of shift. When James D. Doss wrote his first book, The Shaman Sings, Granite Creek Colorado police chief Scott Parris was his primary detective. Southern Ute Tribal Investigator Charlie Moon (nephew of the shaman of the title) showed up to assist him, and in that way that characters have, Moon took over. Not the investigation, but the author’s creative mind. The series became the Charlie Moon series, with Parris moved to a major supporting role. I like the books featuring Harrie, but I think Sgt. Paiz has equal potential as the protagonist of a mystery series, and I hope to see more of her. One of my favorite Edward Abbey rants in Desert Solitaire is about tourists who won’t get out their cars in a national park and who suffer the illusion that they have actually seen the place when they haven’t walked in it. For me, walking is a way of getting to know a community and its personality. I seldom sit in waiting rooms when I could be out exploring. A place doesn’t have to be scenic to have character; even a kind of dreary character can be interesting to a writer. While waiting for oil changes at the Ford dealership in the town that inspired Cauwetska in The Calling, I explored the neighborhood behind it. Many years later when I wrote the book, I knew which house Mae and her mother would move to in the opening scene and I could see, hear and smell every step of the life-changing walk Mae takes that evening. In my review of The Pot Thief Who Studied Pythagoras I mentioned the narrator Hubie Schuze’s reflections on the superiority of walking compared driving. The line that stuck with me from this particular scene is I saw a baby gopher—one of the many things one could not experience if driving a car. I’m trying to find the chapter for another quotation but I keep finding all his other walks in Albuquerque instead. Hubie walks in his city quite a lot. When I went to the corn dance at Kewa Pueblo (Santo Domingo) earlier this week, I chose to park a distance from the plaza and walk. Twice, shuttle bus drivers tried very hard to let me know I could ride. I know they were just being courteous, but I couldn’t bring myself to ride. In my work in progress, this pueblo will be one of the settings, and walking helped me to soak up details. When I walk in Santa Fe, no one offers me a ride. The city is full of pedestrians, some of them very interesting. While I walked to the Best of Santa Fe Block Party last Saturday, I encountered young women striking dance and yoga poses on the streets. This evening in the Plaza at Bandstand, I saw a tall trim Anglo man with a white tiny goatee wearing a little round flat African hat in pink and green and orange, pink John Lennon sunglasses, an orange-and-green African print shirt and a swath of similar fabric wrapped around his waist over his bright green shorts. All the clothing looked new, clean and crisp, a carefully chosen concoction. The best-dressed dog at Bandstand belonged to man whose lean, scruffy appearance and worn-out backpack suggested he might be homeless. He had placed a pair of sunglasses with bright orange frames on the nose of his dog, a gentle, friendly mutt. Children broke off dancing wildly to the Santa Fe Chiles Jazz Band to pet the dog, and the man was gracious, careful of the children’s well-being and his dog’s good behavior. The way he steered and guided his dog made me think perhaps the glasses were there to indicate that the dog was blind. I had to wonder about the story behind his apparent good cheer in what looked like tough circumstances. Now, while writing this, I wonder if anyone ever offers him and his dog a ride. There is no sub-genre within the mystery genre that could classify this book, and I mean that as a compliment. 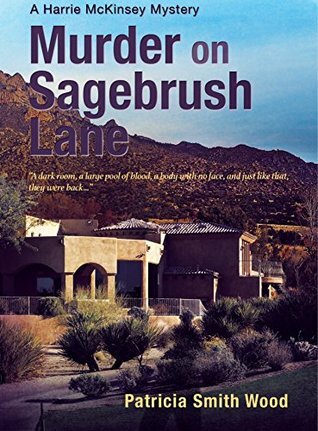 Pot thief and pottery shop owner Hubie Schuze is so unlike any other protagonist in a mystery series, I can’t compare this to other books and say “it’s like X.” It’s not. So what is it like? Albuquerque. I suspect Hubie might cringe at the phrase “Keep Albu quirky,” but it’s not a bad way to introduce him and his way of looking at the world and loving his city. Orenduff has a knack for describing people with a few clear images that pick out their defining peculiarities, positive or just plain odd, and this seems to be integral to Hubie’s point of view. He sees people as they are—and sees himself as he is, too, with humor and humility despite some strong opinions. His delightful digressions are as essential to the flavor of the book as seasonings are to a good meal. One of his rambles is on the benefits and pleasures of walking in the city compared to driving, and it fit with the way I felt while reading. I had such fun being in the moment with Hubie and his friends that I forgot to try to figure out whodunit. Hubie figures it out, of course, and the end is surprising. I wouldn’t have seen that coming even if I had been trying to solve the crime. Don’t let my drifting with the Tao of Hubie make you think this book is unstructured. It isn’t. Multiple intriguing subplots—adventures that are sometimes humorous and sometimes simply human—are interwoven with the mystery plot. Hubie’s capacity for friendship and generosity is on equal footing with his inclination to break a few laws. It’s this combination of rogue and good guy that makes him so engaging. The acts of kindness as well as the minor crimes Hubie commits while solving a major one kept me looking at the scenery, walking, appreciating every step of the way. 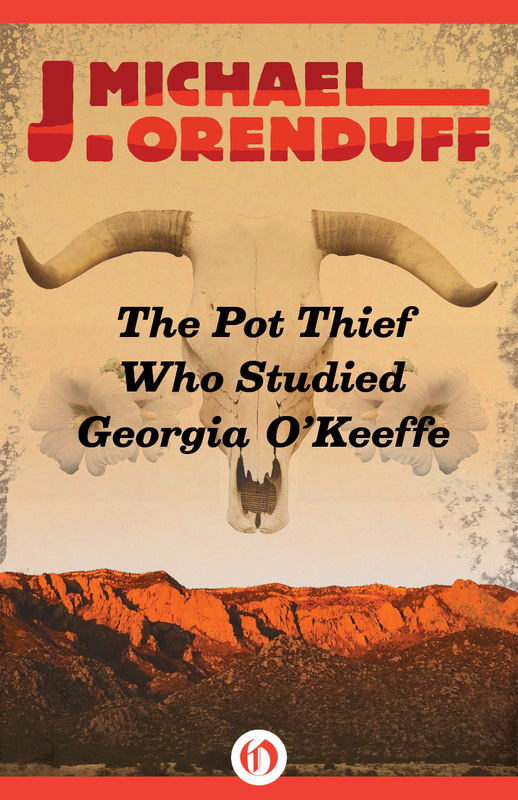 My interview with J. Michael Orenduff will follow my review of the newest book in the series, The Pot Thief Who Studied Georgia O’Keefe. I’ve had the pleasure of reading it early, before the ARCs come out. Keep an eye out for that review and interview in the upcoming months. 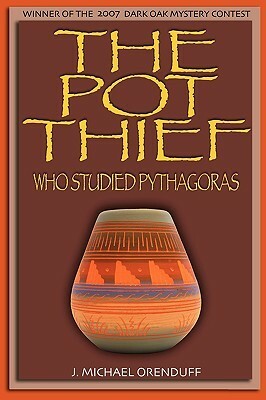 Meanwhile, get into the flow with Hubie with this first Pot Thief book.